While hearing loss is typically associated with the elderly, people of all ages can suffer with this condition. In reality, hearing loss may be present at birth, which will have direct implications on a child’s development if it is not diagnosed and dealt with right away. Whether short-term or lasting, hearing loss does not always improve with medical treatment. Most times, people diagnosed with hearing loss are advised to get hearing aids to help them hear better and give them a life that is as close to normal as possible. This article will cover the basics of hearing loss, including signs to look for, types of hearing loss and treatment options available. There are various signs that accompany hearing loss. If a child has hearing loss, he/she may develop speech and language later then is considered normal. They may not react when called and may not be capable of following directions properly. They may also have speech that is jumbled and/or hard to understand. The TV and radio volume will probably be higher than normal. A consultation with an audiologist is in order if these signs are noticed in a child of any age. There’s less of a likelihood of hearing language delays or muddled speech in adults with hearing loss. They might just not hear people well, and often ask for statements to be repeated. He may not be able to hear the telephone or doorbell, and other family members may notice that volume of the television or radio is too high. Someone experiencing hearing loss will need additional eye contact to comprehend the conversation to avoid missing out on jokes or anecdotes. If the loss progresses, the person may isolate themselves socially to avoid the frustration. In this case, a visit to an audiologist for a hearing check and treatment would be helpful. When you go to see your doctor, they will evaluate you and see if you need further treatment. They will also ask you a lot of questions trying to determine how the hearing loss occurred. The part of the ear that is causing the hearing loss determines how the hearing loss is categorized. Once the source is pinpointed, an appropriate treatment can be recommended. Conductive hearing loss is one type. This type of hearing loss is the result of sound not being able to get from the outer ear to the inner eardrum and the middle ear. It is fairly easy to determine the exact cause of a conductive hearing loss. These can be caused by earwax buildup or some other ear canal obstruction. Sensorineural hearing loss occurs when there is damage to the inner ear. It is considered permanent loss because there are no medical treatments to address the problem at this time. Unilateral hearing loss refers to hearing difficulties in one side only. Many children have unilateral hearing loss, which can make it much more difficult for them in school, socially and developmentally. Doctors don’t always know why unilateral hearing loss occurs. Treatment options can be determined once an audiologist is able to determine the kind of hearing loss that is being experienced. If the issue is conductive hearing loss or a blockage in the ear canal, then the issue can be easily remedied. One common problem is wax in the ear, which causes hearing problems and can be taken out by a physician. A hearing aid is inserted comfortably into the ear. They increase sound via a speaker so that the ear may process it more easily. A more serious hearing loss might benefit from cochlear implants. The procedure removes damaged parts of the ear and replaces them with healthy, functioning tissue that can improve hearing. While hearing loss is common for people of every age, help can be gotten. If you think you might have a hearing loss, you need to seek evaluation, diagnosis, and treatment from an audiologist as soon as possible. 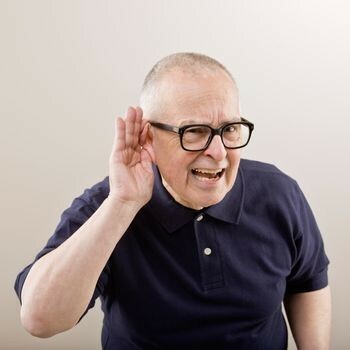 More expert Hearing information is located at sensorineural hearing loss.If you like this article on Hearing visit sudden hearing loss for more education. How Does a Hypnotherapy Session Works?